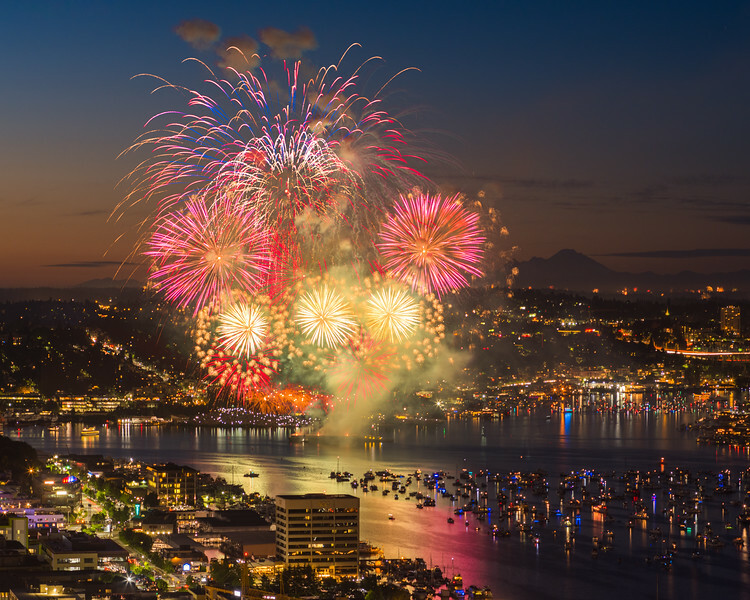 Annual Forth of July fireworks display over Lake Union in Seattle, Washington. Mt. Baker in background.